Wouldn’t this be adorable when made to match a pretty dress? I’d like to see one done in Christmas red with some sequins or other sparklies on it. Wish I had a little girl to crochet for…..
Get the pattern with a very good picture tutorial here . 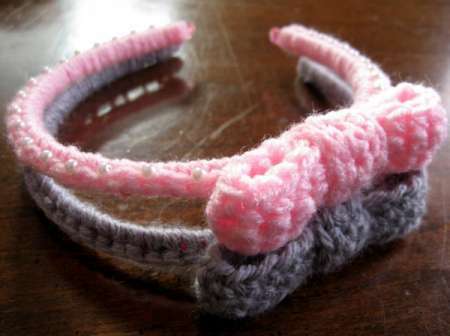 Wow, what a lovely idea, I think all little girls would love this headband especially with a matching outfit.